How well do you know the LEGO® NEXO Knights™? Would you win top marks at the Knights Academy? Do you know where to find Merlok 2.0 in an emergency? Who do you think is tougher – Lance or Clay? This cool handbook is like your personal passport into the Knights Academy: your chance to follow five brave young knights on their mission to defeat evil Jestro. You get top-secret facts, character profiles, battle tips, colour pictures and a fold-out wall poster! Plus – just scan the shield on the cover to gain a Nexo Power. 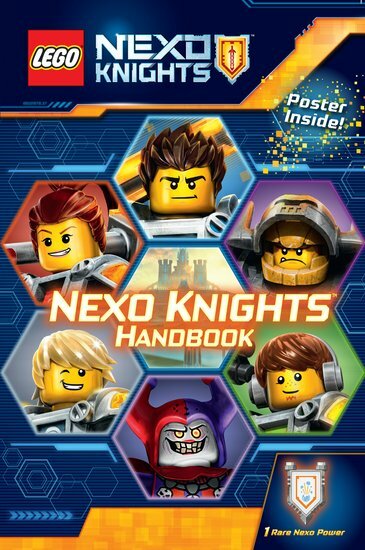 LEGO® NEXO Knights™: Fright Knight! LEGO® DC Comics Super Heroes: Attack of the Legion of Doom!